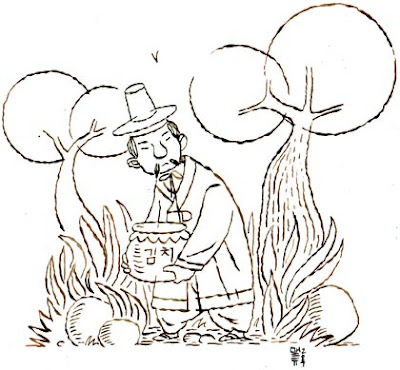 Matt Forsythe, author of Ojingogo, has posted some traditional Korean related sketches you just might dig. Click on an image to visit his website and learn more about it. Sheesh! Just look at that lazy bird hitching a ride on that overloaded A-frame! 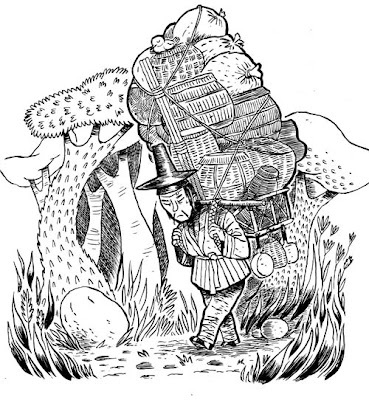 At Matt's blog, you can look at the process he took to ink this detailed drawing. This more quick and simple one is his Hanbok sketch. It's a warm up sketch for his upcoming Ojingogo book posted about previously on this blog. Pots of kimchi, hanbok, the artist's signature in hangul--and that's just in these couple of drawings! If you like these Korean inspired sketches, maybe you'll enjoy a visit to Matthew Forsythe's website. You can just dig around there for a long time and find all sorts of fun stuff (sometimes delightfully Korea related). Supertech Group has come up with another of architectural amazing things and has known as it Supertech Oxford Square.